T504 working as an ambulance in WW2. Photographer unknown. 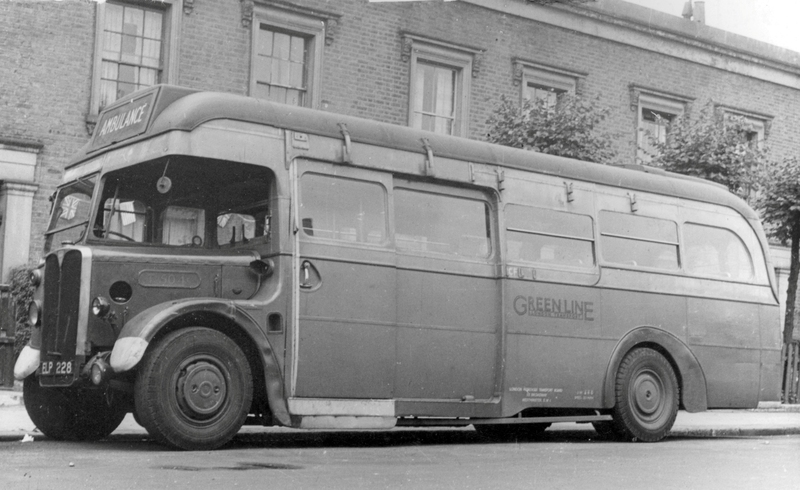 T504 was one of 266 of this type of coach to enter Green Line service, being initially allocated to Staines garage in May 1938. Upon the outbreak of the Second World War in 1939, along with many of the class, it was converted to an ambulance. 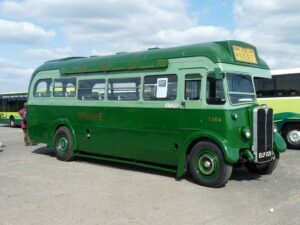 Green Line services resumed in 1946 and T504 returned to front-line service at Hertford garage until replaced by new RF coaches (see the Museum’s RF226) in 1951. It was then converted into a bus, painted red, and saw out its service days on routes in the Kingston and Sidcup areas before becoming a private hire bus at Chalk Farm garage for its last few months of service in 1953. 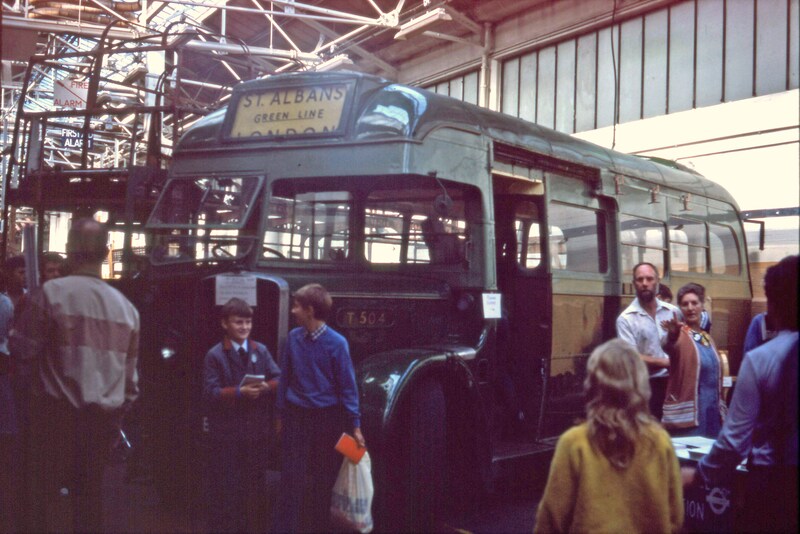 After disposal by London Transport in 1954, T504 led a charmed life; twice, it was acquired for conversion into alternative use – the first time as a mobile showroom and then as a mobile crane – but, both times, the work was not carried out and the coach survived in an un-modified state until it was found by preservationists in a scrapyard in 1968 and saved by them. 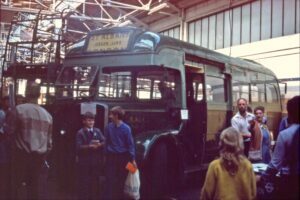 It was then restored, with some of the work carried out by apprentices at London Transport’s famous Aldenham Bus Overhaul Works. 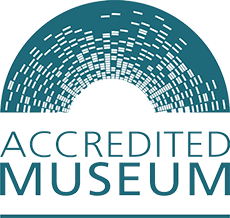 It was subsequently acquired by the Museum and is currently operational albeit the engine is tired and requires work to bring it back to full health.